In Customer Success, whether as an individual contributor managing key accounts or an executive managing a team, it is a constant challenge to balance unique and one-off customer needs with scalable, repeatable and sustainable business practices. Over time, with an effective Customer Success program, strong team governance and smart processes, managing customer success can become routine. Routine enough that many CS organizations have started to develop “playbooks” that individual customer success managers can follow to drive success. Developing repeatable strategies for driving customer success is an incredibly important part of building a world-class CS organization and codifying these into “playbooks” can be a great tool for new CS managers to leverage to understand what has worked in the past and to avoid reinventing the wheel each time. But playbooks are not a silver bullet. Without training and a disciplined and thoughtful approach to Customer Success, playbooks can lead your team off course. 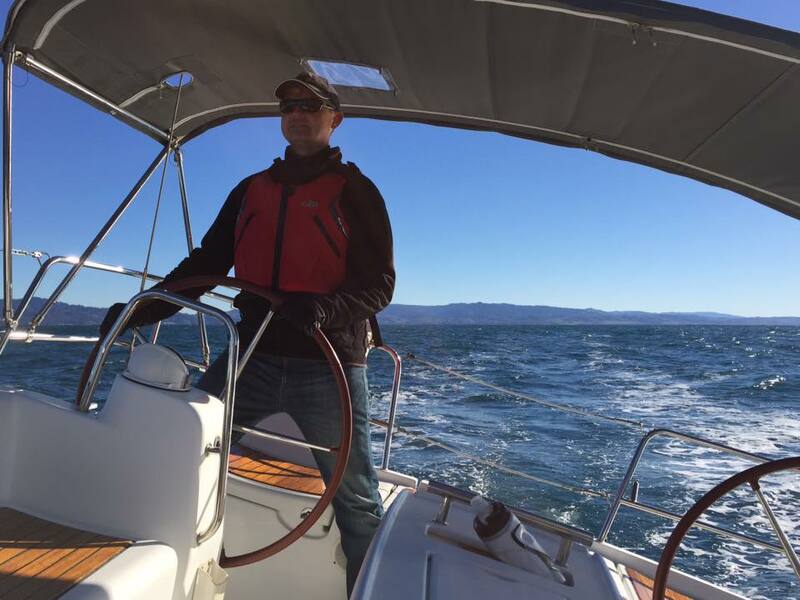 One of our first adventures in learning to sail our boat “Volatility” involved unintentionally sailing into Mavericks, one of the most hazardous surfing destinations in the world. Here waves can top 60 feet and the crash of the surf can be measured on the Richter scale. When I say we unintentionally sailed into Mavericks I don’t mean we were mistaken about where we were or what was about to happen. We were painfully aware. We simply couldn’t do anything about it. When my wife and I moved aboard “Volatility” in October of 2015, heading into winter and an El Nino season, it was a less than ideal time of year to start living on a sailboat in the Pacific Ocean. Neither of us are experienced sailors but we have taken ocean safety courses and sailing lessons. We purposefully chose a low swell and calm wind day to take our boat out for a shakedown. As we exited Pillar Point Harbor we were both a bit anxious but confident in our abilities for an easy day sail along the coast. And then, things got really exiting really fast. Passing the last break wall and heading into the open ocean we began to fully appreciate that we did not have a sailing instructor with us this time. We were on our own. My wife asked me to use the navigation to pin point our location and plot a course to the critically important first green buoy. The red and green buoys mark the safe channel for boats to pass through to enter and exit the harbor. These markers are especially important at Pillar Point. One one side of the channel is Mavericks. On the other side is another reef that sits just below the surface. The channel is the only safe passage for most boats and especially large sailboats with their deep keels. When I turned on the navigation I accidentally turned on auto-pilot and not to the safe buoy that marks the channel but to the Mavericks warning buoy on the far side of the break, warning ships not to enter. The auto-pilot kicked in, the wheel locked, and the boat turned a path into Mavericks. Auto-pilot, if not used properly, can be dangerous in any setting. Whether sailing a boat into disaster, failing to manage your career in the face of evolving challenges or failing to adjust the course of your business to changing conditions, auto-pilot can lead you to ruin. In Customer Success, auto-pilot can lead to Customer Success Managers assuming they know what the customer’s challenge is because they have heard it all before. It can lead to CSMs jumping to a proposed solution before they have heard or thought through the business implications for a particular customer. It can lead to well intentioned but incorrect action plans that take a bad situation and make it worse. Auto-pilot and Customer Success Playbooks have a role to play in driving customer success and navigating on the open ocean but you need to know how to use them. After a few minutes of panic which included frantically trying to adjust the wheel despite the lock, considering how much time we might have to call the Coast Guard for help before it got worse and more than a few visualizations of our boat taking the full brunt of a 60 foot wave, we stopped panicking and started to do what we should have done in the first place. We calmly worked the problem. Talking it through we realized that immediately before the boat took over I had turned on the navigation. After that I had plotted our course. My wife suggested turning everything off to reset. As soon as the navigation was turned off, and along with it the offending auto-pilot, the wheel unlocked and we manually corrected our course. The only harm done was the years off our lives due to the panic. Playbooks for Customer Success are not the same thing as auto-pilot but they can have the same effect if used improperly by CSMs. Rather than immediately locking in the course for a customer’s success plan and letting the standardized playbook drive the action, effective CSMs need to carefully evaluate each situation, listen to the customer’s feedback and think carefully about the business implications, and then only if the situation warrants, leverage the playbook to drive success. Over time, great Customer Success programs can take on the characteristics of easy, repeatable and scalable processes that consistently drive success. Experienced CSMs and leaders know that it is not that easy. What worked last time might not work next time or for any given customer challenge. The same play executed imperfectly might do more harm than good. And turning on auto-pilot at the wrong time can lead to a sinking feeling for your customers and team.